A picture paints a thousand words according to the old adage and what better way to simplify a complicated concept than with an eye-catching image. 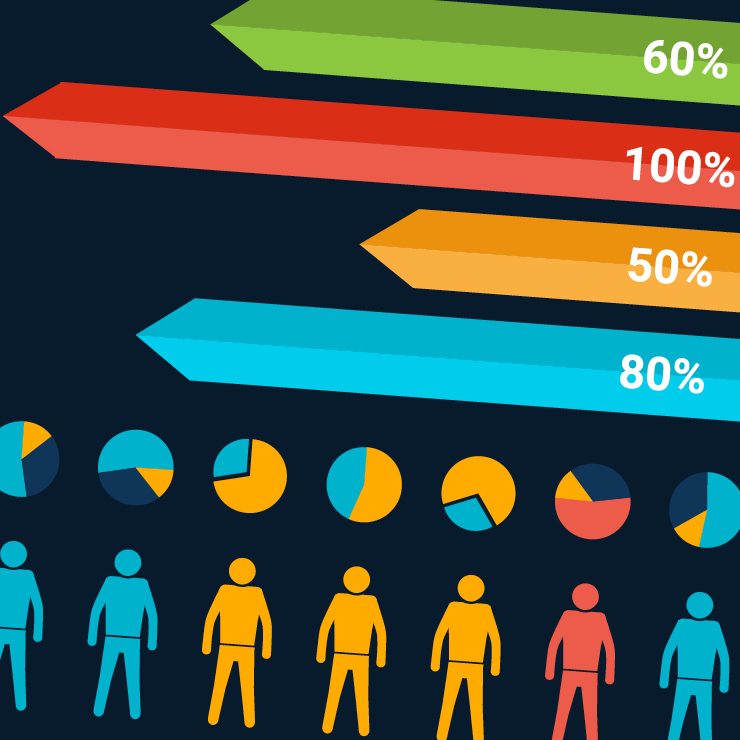 Infographics, or information graphics to give them their Sunday name, are visual representations of data intended to simplify information clearly and quickly. With some 65 percent, of us categorised as visual learners, it’s no surprise that a high-impact infographic is more likely to be read than a chunk of plain text no matter how exciting the contents. Infographics are fun to read and are extremely useful for boiling down data and making it palatable, and they’re suitable for use in any sector from toy sales to medical statistics. While they are not a new concept, newspapers, for instance, have used them for years, more recently they have become invaluable as a marketing tool. Facts and figures from surveys can be difficult to display yet lend themselves to being presented in a simple and attractive graphics. A good example also carries authority as they do take some researching but using them well will mark you out as an expert. In print, infographics can also be used to illustrate features in place of photographs. Not all subjects are easy to capture in stunning or even mediocre photos; an infographic, however, can be used to illustrate what might otherwise be a somewhat uninspiring concept. From a marketing point of view, they can even be created using corporate colours to reinforce a brand image. Logos and website addresses can be worked into them to maximise brand awareness. Even the most niche markets lend themselves to the infographic as to a certain degree it doesn’t have to be about the actual business just of interest to your target audience. Because they are high impact and fun to read, infographics are ideal for use on social media. E-shots, blogs, press releases and even whitepapers can all benefit from their use to simplify complicated concepts and share statistics at a glance. They’re also relatively easy to handle. They can be embedded simply and be tracked with analytics. SEO loves them plus because they’re simple and eye-catching they’re more likely to be shared. It’s definitely worth investing in an expert to create something outstanding that can be read enjoyed and shared across any media be it print, website or social media.